Seoul and Pyongyang have agreed to push ahead with a major renovation and modernization of North Korea’s highways and to conduct joint research into the plans, a statement released on Thursday by the South’s Ministry of Unification (MOU) announced. The statement follows a day of inter-Korean talks on the North Korean side of the Panmunjom truce village, and sees Seoul and Pyongyang reaffirm their April commitment to work together on modernizing the Kyongui and east sea routes near the DPRK-ROK border. “Going forward, we plan to move forward with these simultaneously,” it reads. The agreement commits both sides to work together on modernizing two main North Korean highways: the Kosong-Wonsan and Kaesong-Pyongyang routes. “The scope of construction and standards for modernization for the east sea and Kyongui routes will cover various targets (roads, structures, safety facilities, management facilities), and it was decided that this will be carried out according to international standards and conform to the region’s characteristics,” the agreement says. 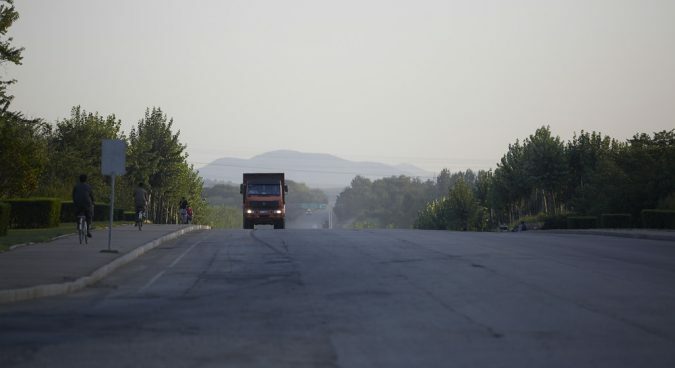 The Kaesong-Pyongyang highway is reported to have already been undergoing partial renovation, and was the site of a tour bus crash which claimed the lives of 32 Chinese nationals and four North Koreans in April. The ROK delegation was led by vice minister Kim Jeong-ryeol of the Ministry of Land, Infrastructure and Transport (MOLIT), who was accompanied by Lee Joo-tae, director-general of inter-Korean exchanges at the Ministry of Unification (MOU) and Baek Seung-geun, director of the transport ministry’s road bureau. 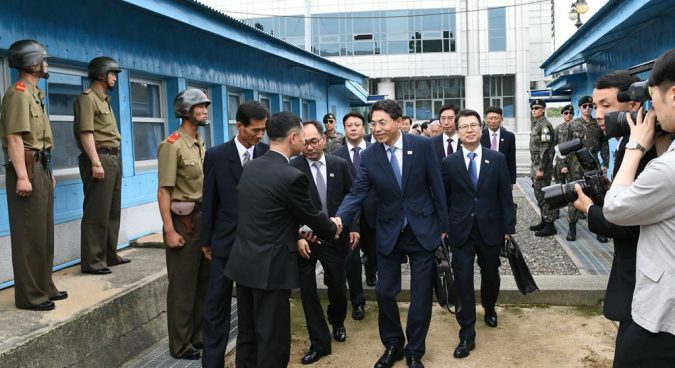 The DPRK officials were led by vice minister of land and environmental protection Pak Ho Yong, Kim Ki Chol – his deputy – and Ryu Chang Man of the National Economic Cooperation Committee. 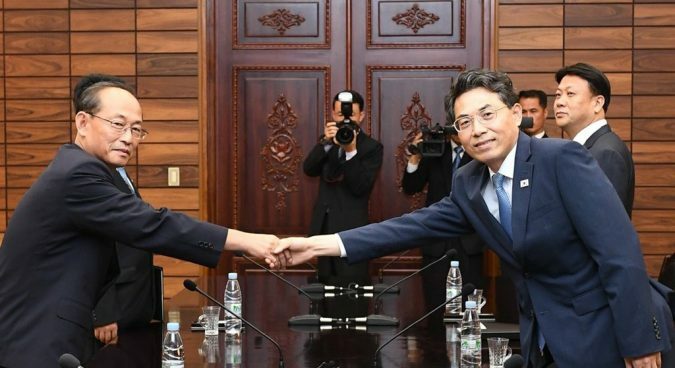 Delegates from Seoul and Pyongyang met at 1000 KST for the first of what would be five rounds of talks – the second this week focused on inter-Korean transport infrastructure cooperation. Specifically, it committed them to take “practical steps towards the connection and modernization of the railways and roads on the eastern transportation corridor as well as between Seoul and Sinuiju” in the northwest corner of North Korea.